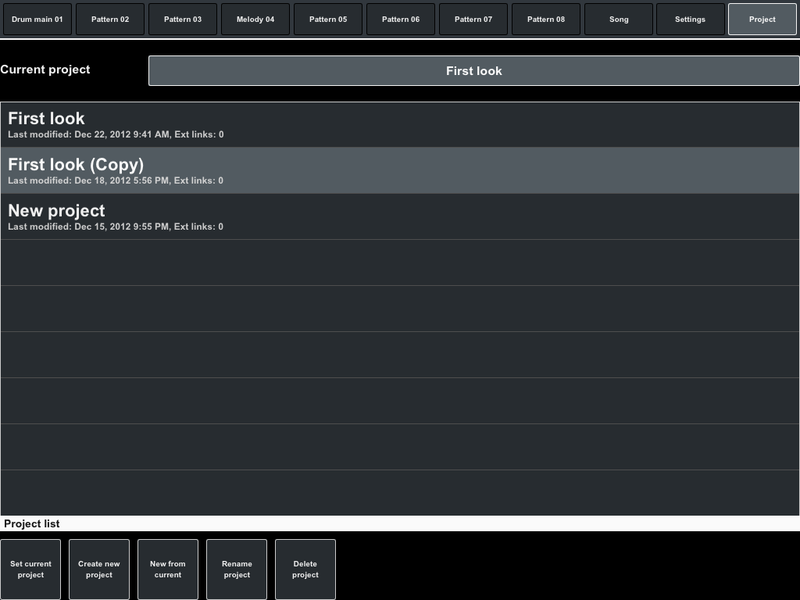 Click any screenshot to enlarge. 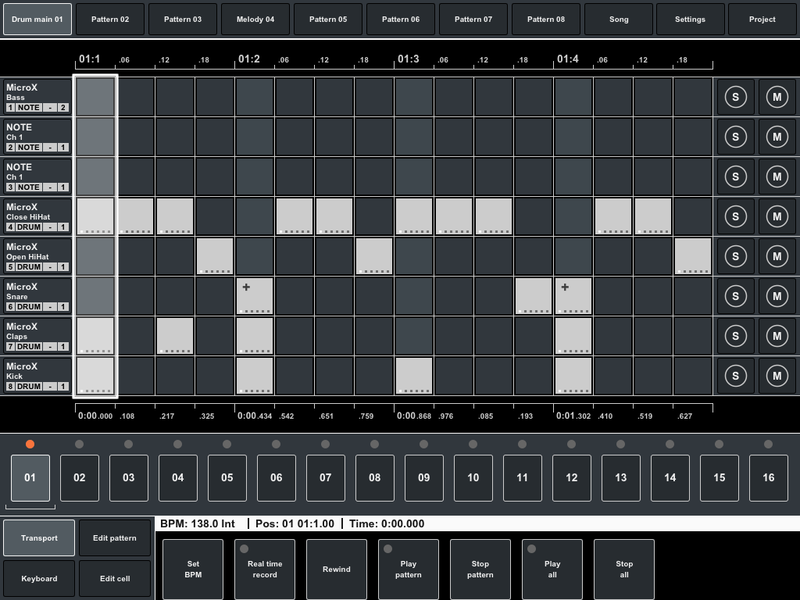 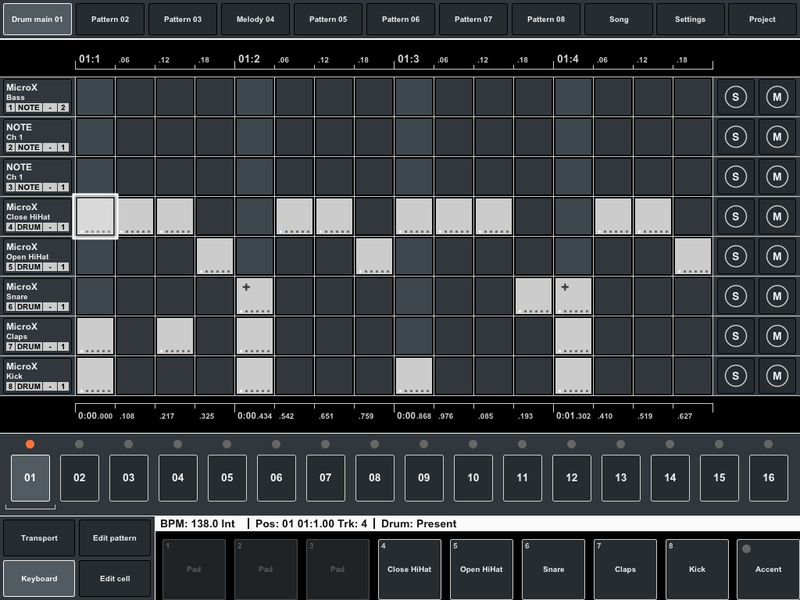 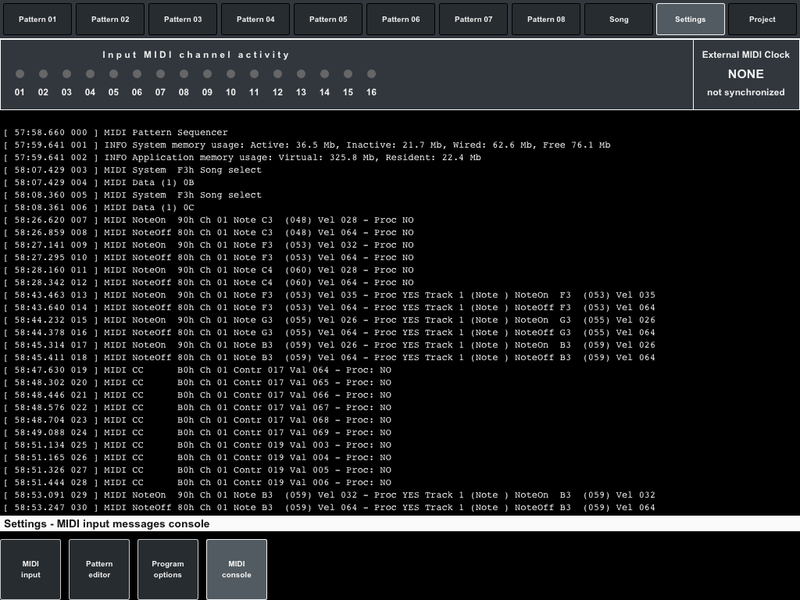 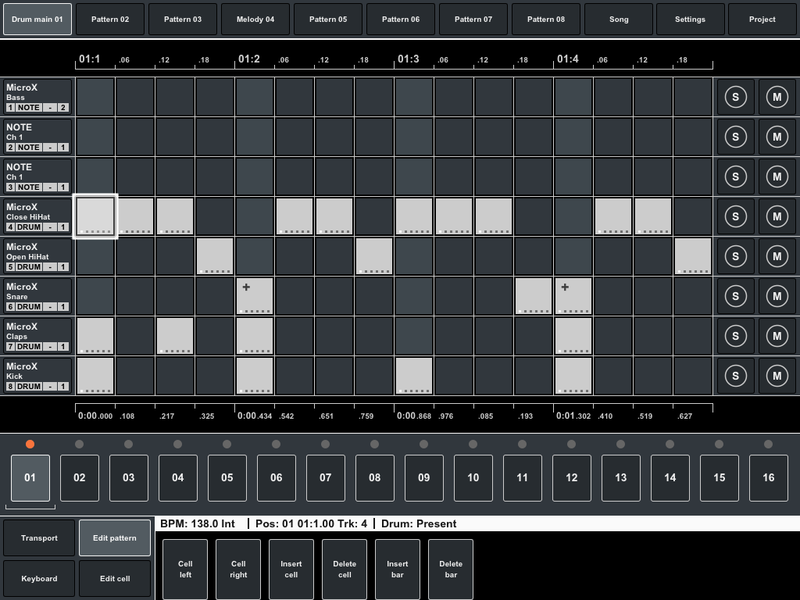 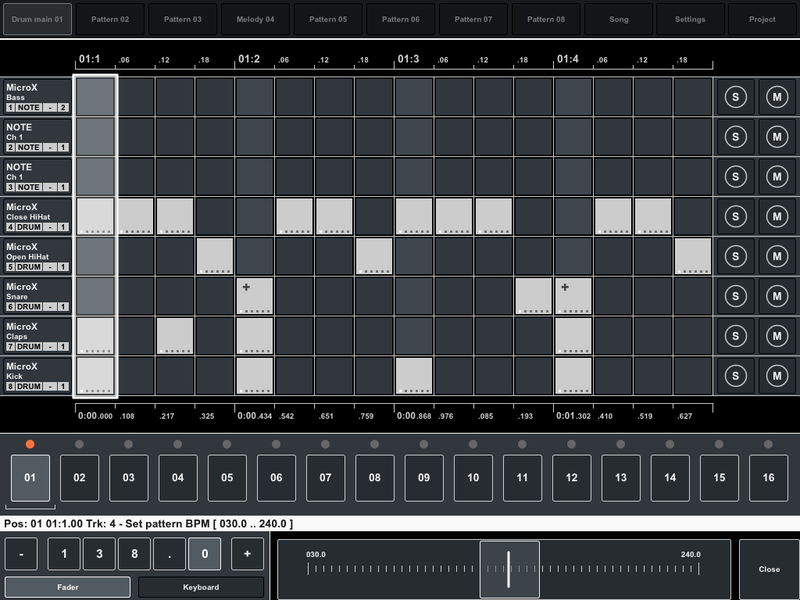 Patterns configured for drum and note events (in Transport mode). 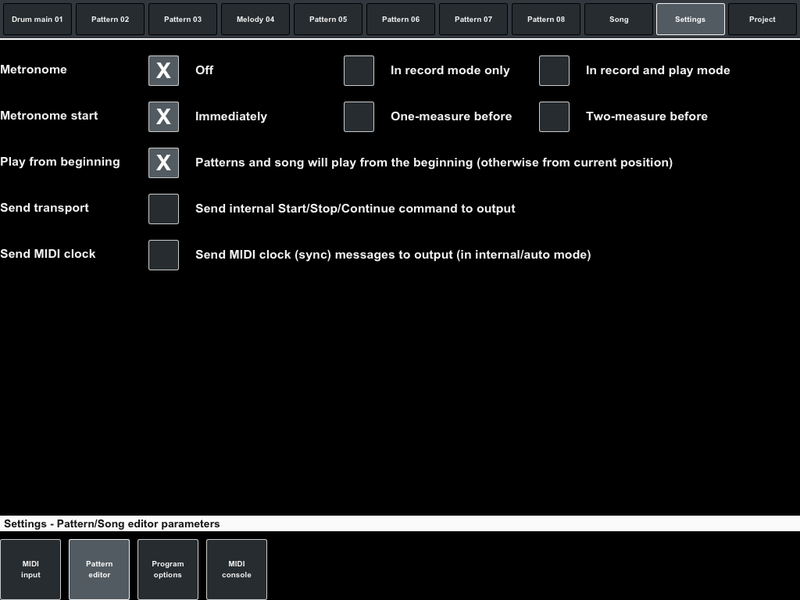 Settings BPM for pattern. 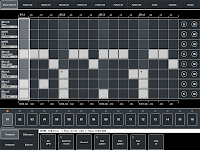 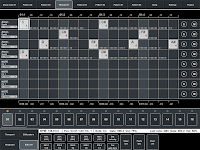 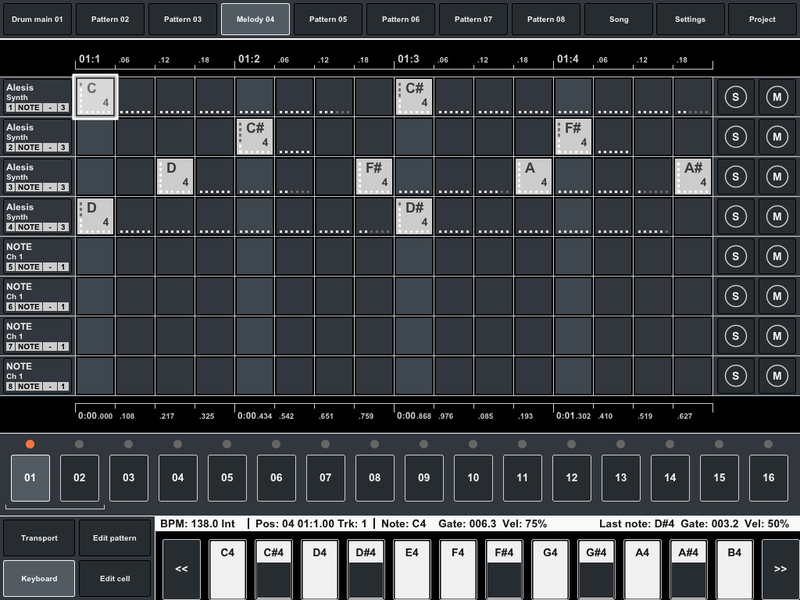 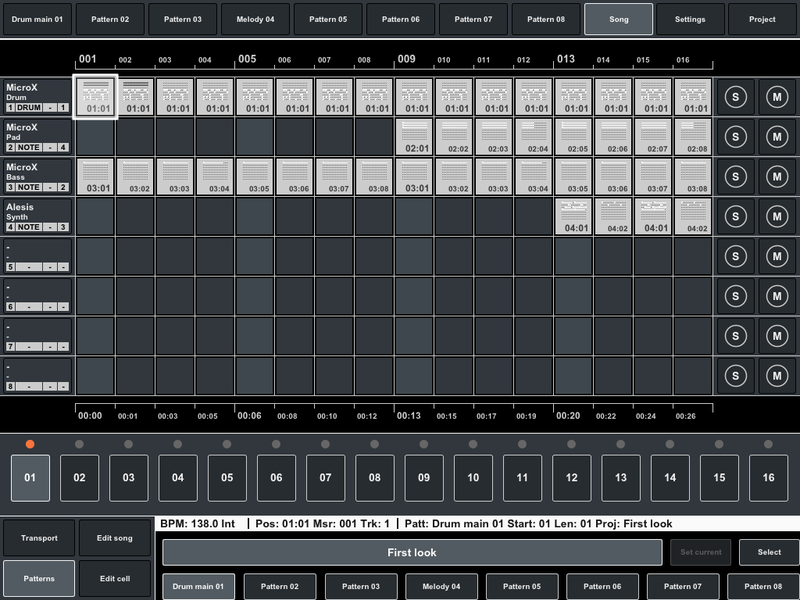 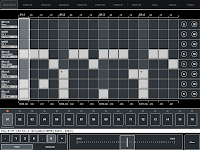 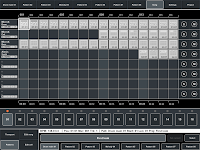 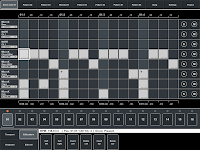 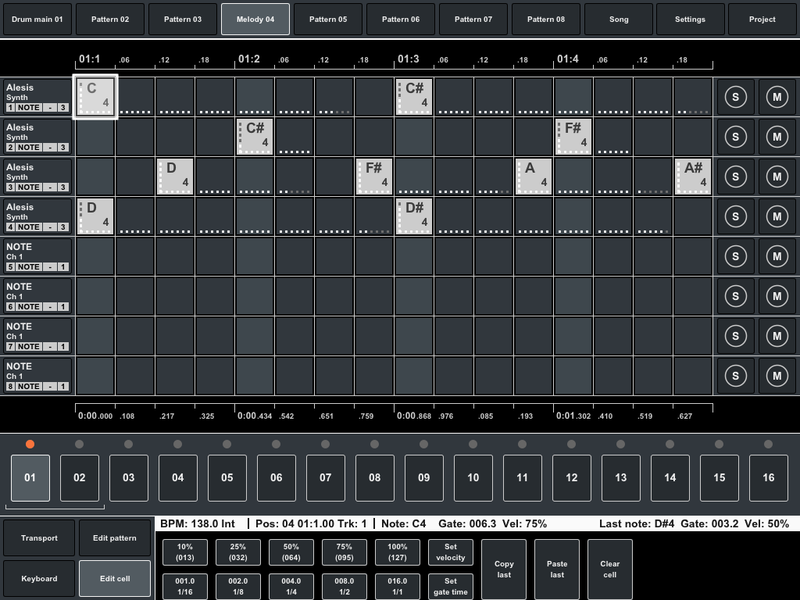 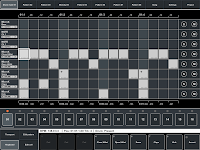 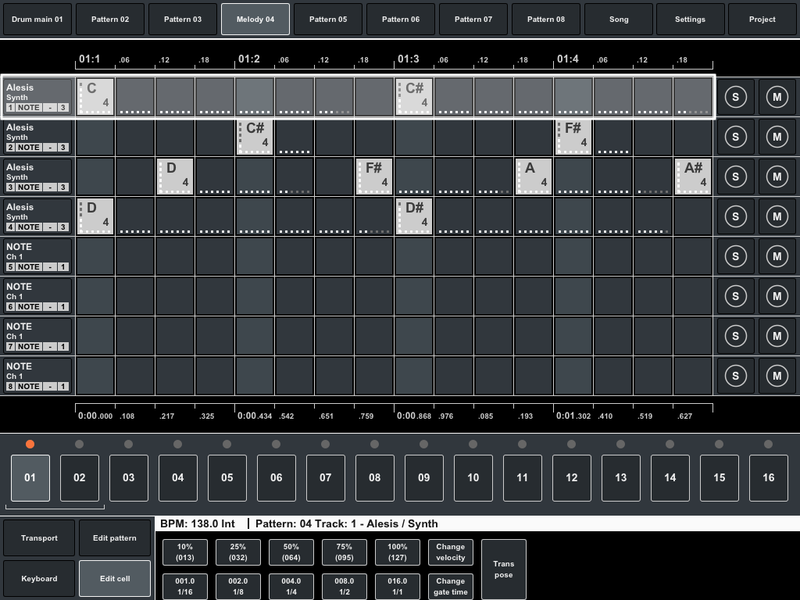 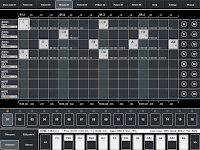 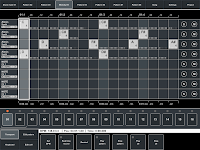 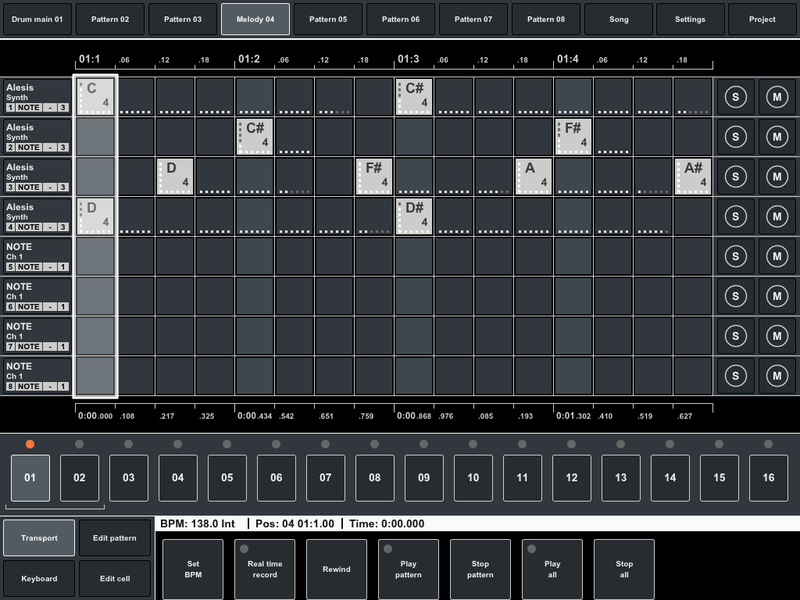 Keyboard mode for drum tracks (drum pads with names as track titles) and note tracks. 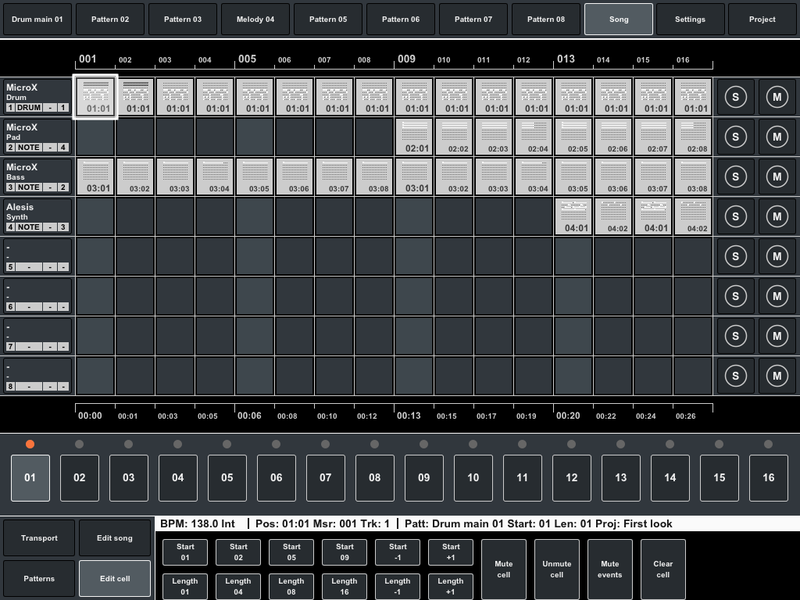 General track settings. 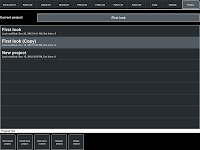 Edit pattern, Edit cell, Selected track in Edit cell mode. 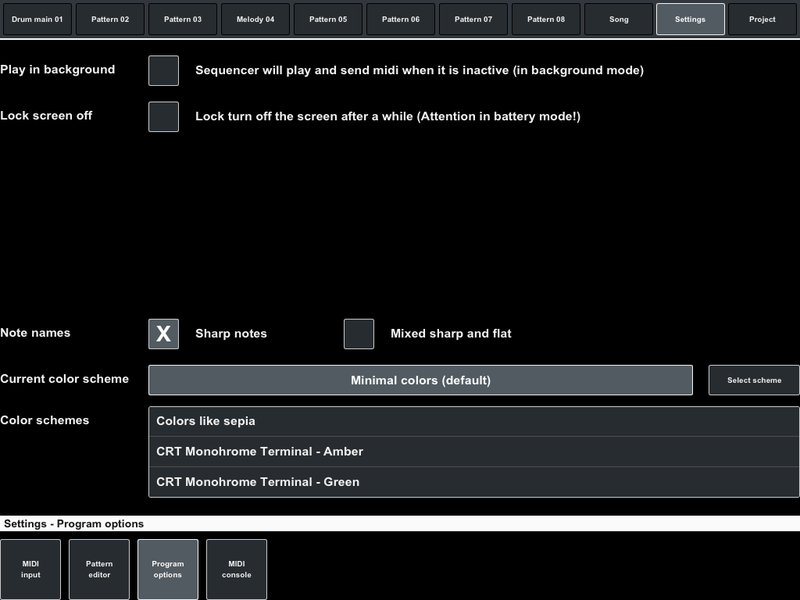 Song in Transport mode, Setting pattern for song cell (Pattern mode), Edit cell mode. 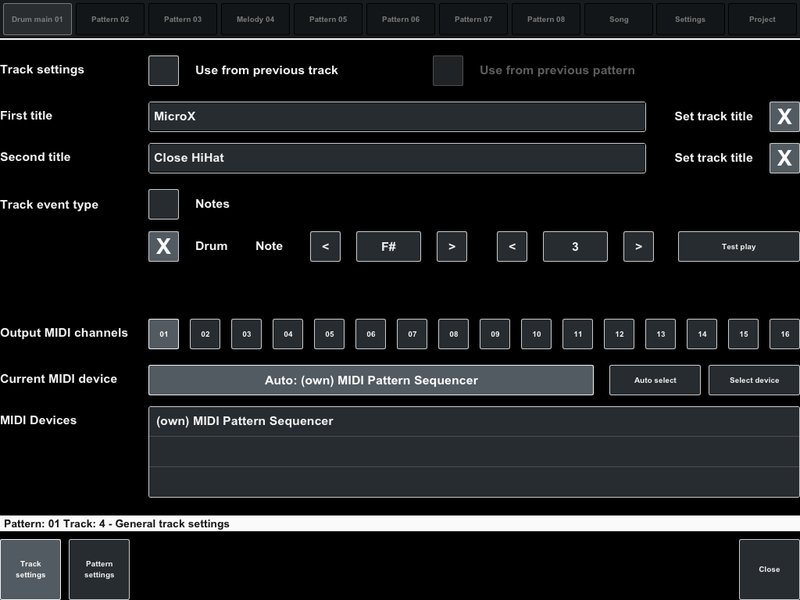 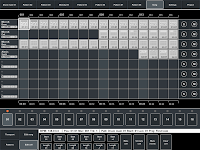 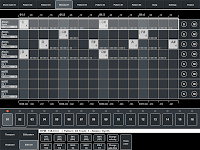 Program settings - MIDI input, Pattern editor settings, Program options. 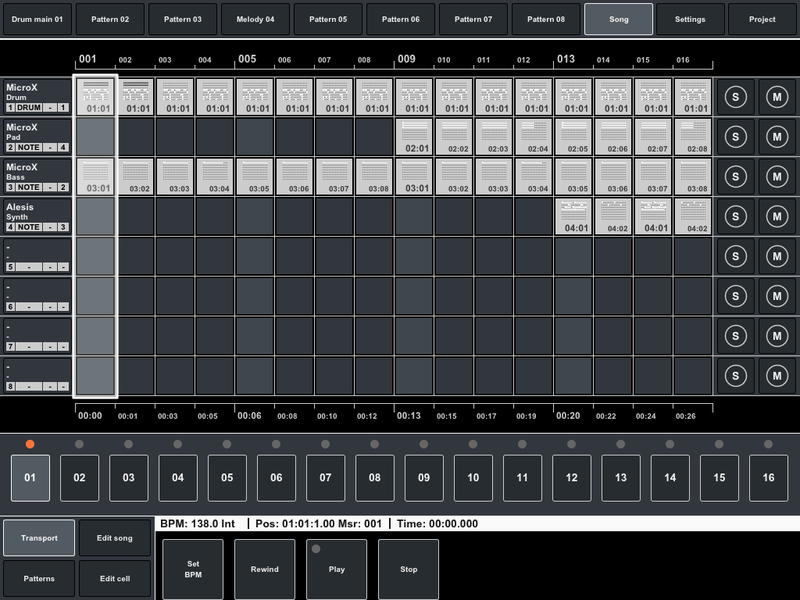 List of projects and operations. 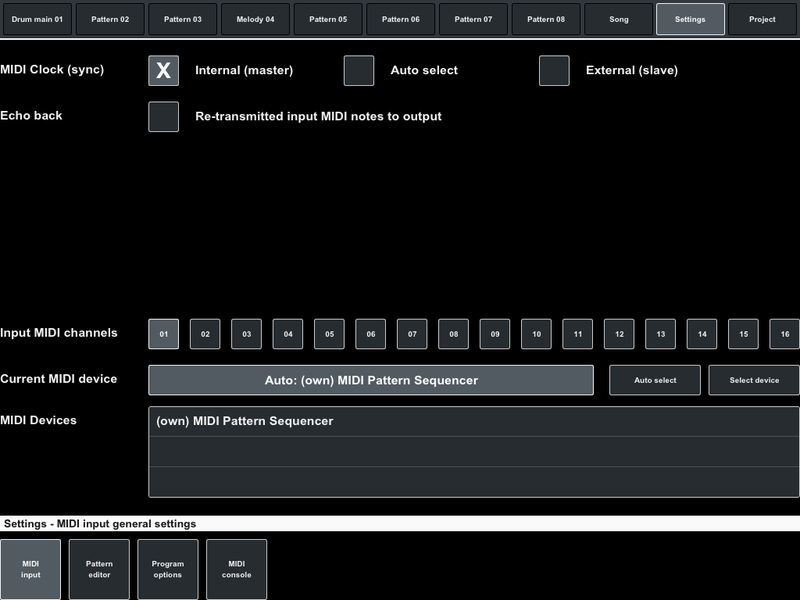 MIDI console.